Fantastic location - remodeled, popular Balboa Bridge model in Willow Creek II. Over a quarter acre corner lot on a cul-de-sac. Spacious kitchen with new cabinets, granite countertops, and stainless steel appliances. New flooring, paint, and fixtures throughout. Two patios, off the family room and the dining room. 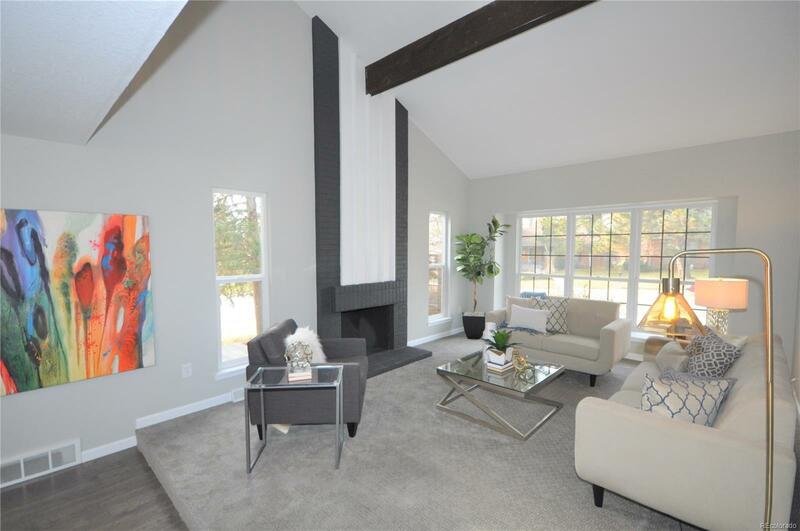 Two fireplaces, in the vaulted living room and the family room. Four bedrooms on the upper floor including a large master suite with dual sinks, separate shower and tub, and private WC. The master also has a large walk-in closet. Bedroom above the garage is huge and could be converted into a second master. A fifth bedroom in the basement as well as a bonus room and an extra room for crafts? Two furnaces, and two central A/C units. Two laundry locations. Oversize garage (30 feet deep) is heated and cooled! Newer roof and windows. Feeds to coveted Cherry Creek High School. Close to I-25, lightrail, DTC, Park Meadows, restaurants. Community trails, tennis courts, pool.